Disposable Carbon Dioxide cartridges for beer and soda carbonation. 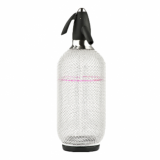 Filled with natural carbon dioxide, they have many uses from carbonating to pressurising. 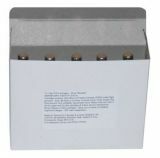 These cartridges are widely used for pressurising / injecting Co2 into standard 2-inch neck plastic homebrew beer barrels. Check your barrel has the right adapter for these small CO2 cartridges. Keeping your barrel pressurised as it empties will ensure air is kept out and your beer is properly preserved. Our natural CO2 soda charger bulbs are designed to fit any soda syphon - and most soda makers. If you have an old vintage sparklets or BOC syphon they will fit fine - but we would advise that a very old syphon could be too old & corroded to use safely. They will not work with the Soda Stream which uses a refillable cylinder and not a disposable cartridge. Our CO2 Chargers are made of 100% recyclable steel and are not refillable.